SilverFit, founded in 2013 by the inspirational Edwina Brocklesby, is about to celebrate the 50,000th attendance at its sport and physical activity sessions for older people across London. ConnectSport caught up with the 75-year-old Ironman record-breaker who's driving other retirees to get - and stay - active. 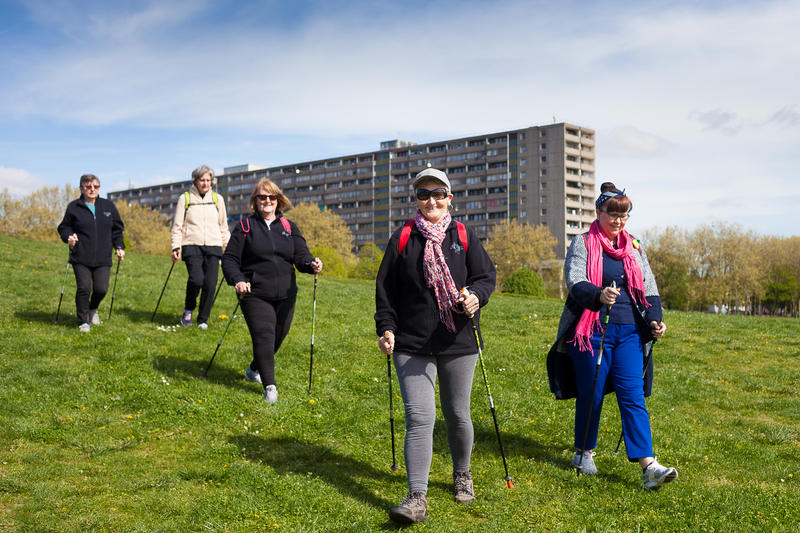 When a group of older people meet up in Burgess Park in south-east London next Tuesday to take part in Nordic walking and pilates sessions, it will mark a significant milestone in the five-year history of pioneering charity SilverFit. 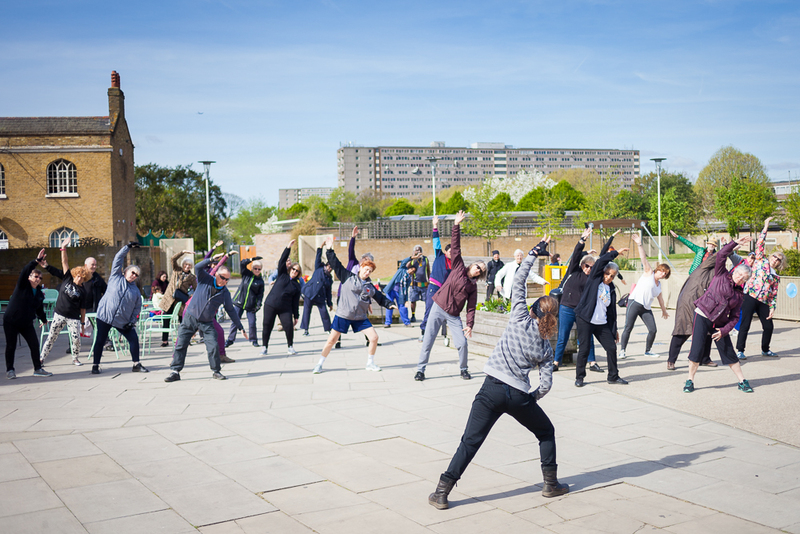 Around 460 people per week with an average age of 67 take part in SilverFit's sport and physical activity sessions at 16 venues across London. The Burgess Park session on May 1 will see their session attendance pass 50,000, something the founder describes as "incredibly exciting". "We've got a very high retention rate, so not only are we getting people active, they're staying active too," Eddie proudly told ConnectSport. "We're flexible enough that they can come whenever they like and fit us around caring responsibilities and any other commitments." Activities on offer include walking football, cheerleading, Tai Chi, track cycling, gym sessions, yoga, badminton and Bollywood dance. They are delivered with help from a range of funders, partners and volunteers. The benefits of regular physical activity are obvious, especially to this demographic, but the knock-on effects are equally appealing. "The social aspect is why I think we've been so successful at retaining people. They come because they want to be fitter and healthier, but they stay because of the friends they've made," said Eddie. "You can see from our data that 70% of our participants are travelling less than 20 minutes to get to our sessions. The networks and friendships are local and that gives them more opportunities to socialise together than if they're coming from far and wide." SilverFit's recruitment methods necessarily veer towards the traditional, with new participants typically joining up through word of mouth, seeing a flyer or noticing a group training or exercising in a park. "We have social media accounts but that doesn't tend to be where this audience discover us," said Eddie. "We've also found men in this age bracket quite difficult to recruit. We have 78% women and 22% men. We're working to reach more of that audience as well as joining with residential associations to tap into their networks." There's no doubt that SilverFit's success owes much to the driving force of its 75-year-old founder, who only took up sport and physical activity at the age of 50. Inspired by watching a friend run a marathon in Nottingham, she completed her first half marathon two years later. Two years further on, after her husband of 30 years died of cancer, she began "serious training". She started competing in triathlons aged 58 and has run six London marathons. She is the oldest British woman to compete in an Ironman and is about to sign up for the Cozumel Ironman event in Mexico again, having competed in it last November. All this despite suffering with severe arthritis and having no anterior cruciate ligament in either knee. Her story is detailed in a newly-released book, Irongran, which has seen Brocklesby give 30 promotional interviews over the last two months to media outlets including the BBC, The Times, the Daily Mail and The Guardian. Inevitably, she has no plans to slow down any time soon. Her next step is to grow SilverFit beyond the confines of the M25. "Everybody wants us to expand but we're still looking at the process through which we'd scale up. It depends on funding, not just for the delivery but for how it would all be managed. "There is no doubt about the need for it. We've got a recipe here that is highly successful and we want to reach as many people as possible." 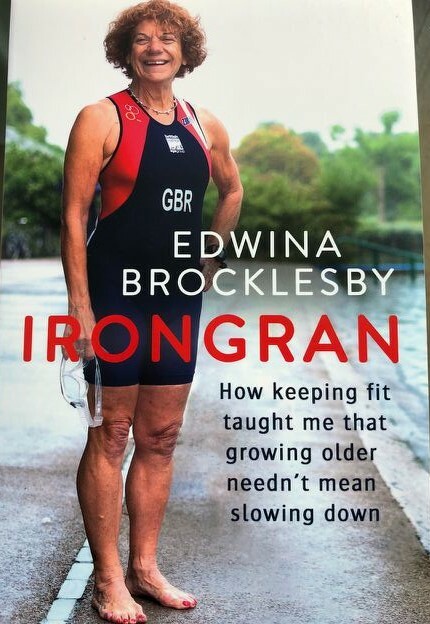 Irongran by Edwina Brocklesby, is published by Sphere, priced £14.99.